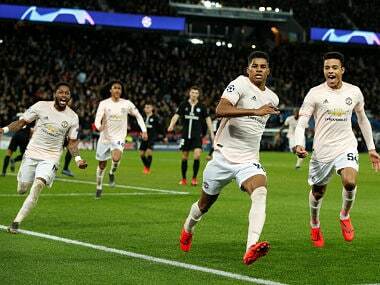 Manchester United have been miracle workers since 1999 when Ole Gunnar Solskjaer stuck out his right foot for the ball to rise steeply and into Oliver Kahn’s net to conquer the Champions League and win the treble, a moment and feat that went down in club history as the pinnacle of the Sir Alex Ferguson era. Fast forward to 2018, just before the winter they repeated a great escape against Italy’s serial champions Juventus and in March eliminated French giants Paris Saint-Germain in dramatic style from the penalty spot. UEFA’s expansive VAR policies had come to Manchester United’s aide in that tie. It was perhaps a little ironic then that Luis Suarez’s goal stood after the video technology confirmed the validity of the Uruguayan’s strike in the 13th minute. 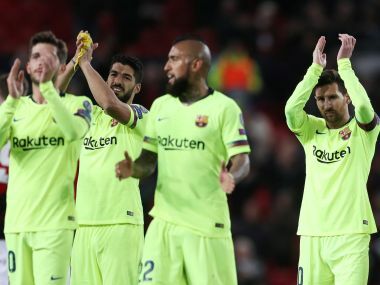 That’s how little time Barcelona needed to dismantle Solskjaer’s 5-3-2 formation and dispel Manchester United’s simmering dreams of silverware in the European Cup. The slight delay in the VAR decision and the mundane arc of Suarez’s header across the face of David de Gea’s goal rendered the moment somewhat quotidian. Except of course that it wasn’t, as is often the case with Barcelona’s elaborate football constructs. The preceding build-up furnished the goal with beauty. The attack had featured 48 passes, involved every single Catalan player and took two minutes and 14 seconds to string together. In the end the rule merchants in Nyon deemed it an own-goal from Luke Shaw, even if that felt unjust. For Suarez it meant the wait for an away goal in the Champions League continued after 1302 days. Not that he seemed to mind. There was almost a glee in the striker’s eyes — he enjoyed the delayed agony VAR heaped on his opponents. It made scoring at Old Trafford all the more gratifying. 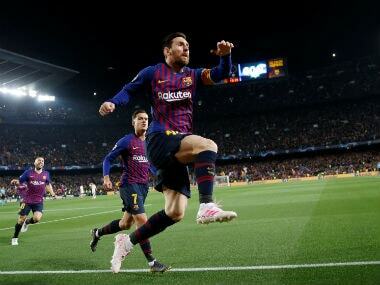 Lionel Messi shared in the goal as well. He provided the assist with a floating and intelligent cross to the far post. Perhaps it had always been folly for Manchester and its fans to believe Chris Smalling and Victor Lindelof, who had so struggled against Diogo Jota and the infiltrating Leander Dendoncker in the Wolverhampton match, could contain Barcelona’s South American attacking trident. They simply couldn’t. By minute twenty Barcelona were playing in a parallel universe: Brazilian midfielder Arthur had completed more passes than the entire United team. His team enjoyed 87.1% possession and led by a goal. Barcelona understood the importance of the away goal. In the past three seasons they had been eliminated from Europe’s prime competition through a failure to score away from home in the quarter-finals. Last year they succumbed in Rome 3-0 and Barcelona’s mastery of the game at the elite level had been questioned profusely: were they still the vintage Barcelona of the midfield trio Busquets-Iniesta-Xavi? Perhaps, they no longer are: they still drag opposition out of position in a handball-esque fashion, but today the Catalans rely more on bursts of speeds and verticality to dictate the course of games. 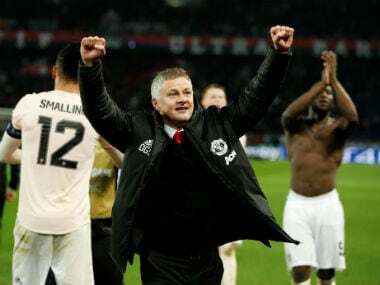 Perhaps then beating a team powered by Messi, who played a mundane game in his world of everlasting excellence, was always beyond Manchester United, who increasingly seem to labor under a false dawn that the arrival of Solskjaer has brought to the club. There was to be no repeat of a wondrously thrilling night in Paris. In the second half, Barcelona limited their hosts to sterile pressure, playing economic football. At times they dropped deep, at times they were even sloppy with their passing, but they neither proffered their trademark passing and ingenuity nor broke with speed on the counter-attack. The entire second half became a strange containment act. A sedate Barcelona taunted Manchester United by restricting itself to an awkwardly conservative brand of football, but Solskjaer’s team had little response. They did restrict Jordi Alba, limited Philippe Coutinho and contained Messi with diligent defensive application, but their impotency showed precisely by what they couldn’t do and that was to penetrate Barcelona’s defense. At the end of the 90 minutes Manchester United had registered no attempts on target. Romelu Lukaku had been isolated and ineffective, and his substitute Anthony Martial also had a limited impact. 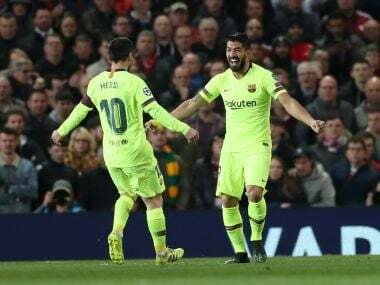 Uncharacteristically, Barcelona ran down the clock, but on the night that was sufficient to defeat Manchester United and curb English miracle-making.